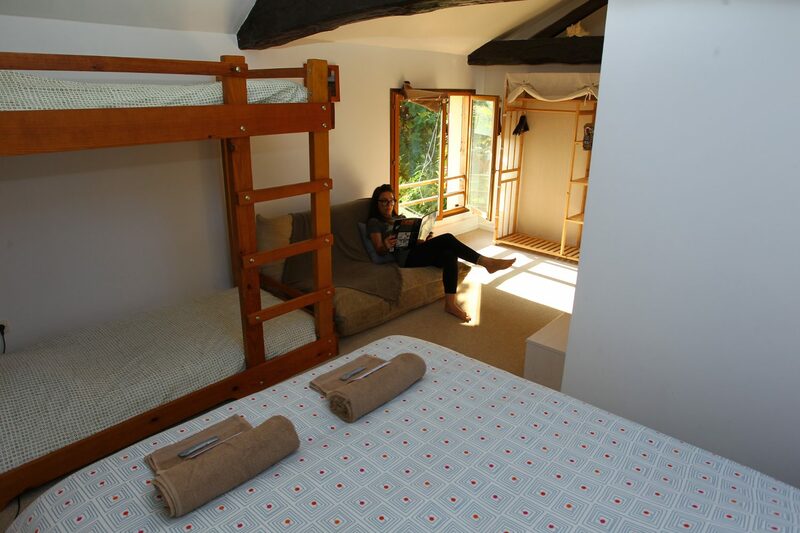 Our other family room upstairs is 20msq (inc en-suite) and also is East facing. It has a small en-suite and overlooks the garden. 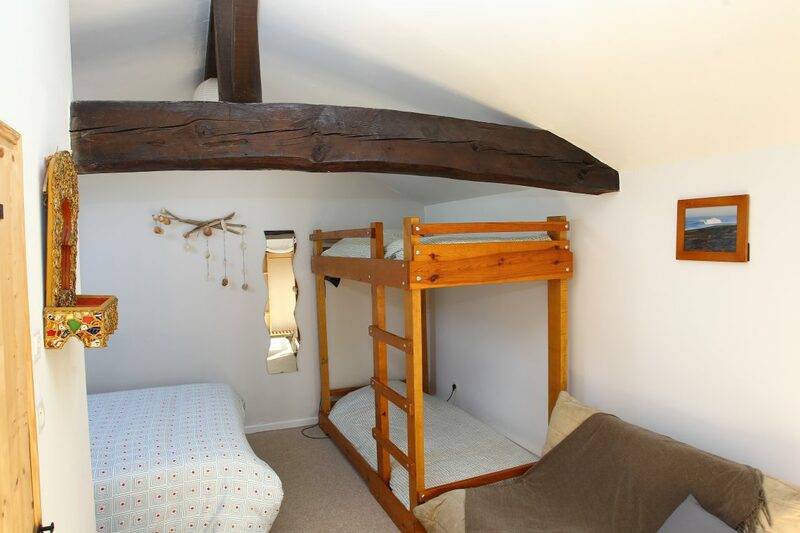 There is a normal double bed and a large bunk-bed for the kids. The maximum occupancy of this room is 4. Babies under 2 go free of charge and we provide as many cots as are needed. Obviously all linen and towels are provided, and is chambermaid cleaned every morning. This room has also been renovated from the farm house’s original state and kept and restored the beautiful 100 year old beams running though the room. Free off road secure parking. Fresh crispy linen and towels for the shower are provided with all rooms. Free unlimited WIFI throughout the lodge. Select your arrival and departing dates, enter you info and we’ll do the rest!